Article 1. Establishing the mother company – Power Generation Corporation 1, operates in the form of mother-daughter company, directly managed by Electricity of Vietnam Group (EVN) on the basis of organization, re-organization the One Member Limited Liability Company of Uong Bi Thermal Power, dependent accounting power generation companies and management boards of power resource projects; and taking over the rights to represent the owner of state capital in some power generation companies under EVN which are operating under Enterprise Laws. 1. The mother company – Power Generation Corporation 1 (hereinafter abbreviated as EVN GENCO 1) is a one member limited liability company and 100% of charter capital is owned by EVN. It operates under the Enterprise Laws, has a legal status, a seal and logo, and organizational and operational charter. It has branches and representative offices in accordance with the laws. It is eligible to open accounts in the State Treasury and banks. GENCO 1 does activities in production – business and investment in its subsidiary companies and associate companies by itself. 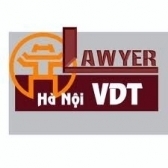 It inherits legal rights and obligations which are transferred by the One Member Limited Liability Company of Uong Bi Thermal Power and EVN in the course of receiving related companies and the rights of representative of owner on state capital at power generation companies. It has responsibility to maintain and develop state capital in the parent company and invested capital in subsidiary and associate companies. Tổng công ty Phát điện 1.
b) Transaction name in English: POWER GENERATION CORPORATION 1.
c) Abbreviated name in English: EVN GENCO 1.